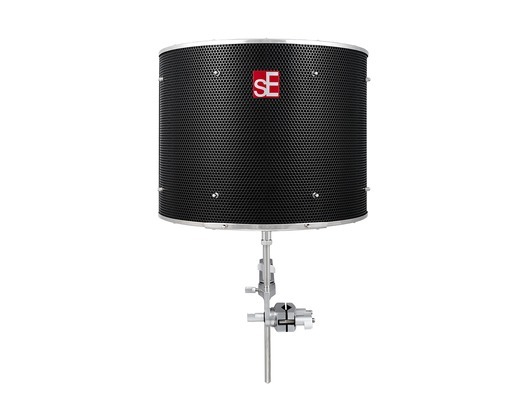 The sE Electronics RF PRO Black is a redesigned version of the original Reflexion Filter, featuring new mounting hardware for simplified ease of use, increased stability, and better overall performance and durability. 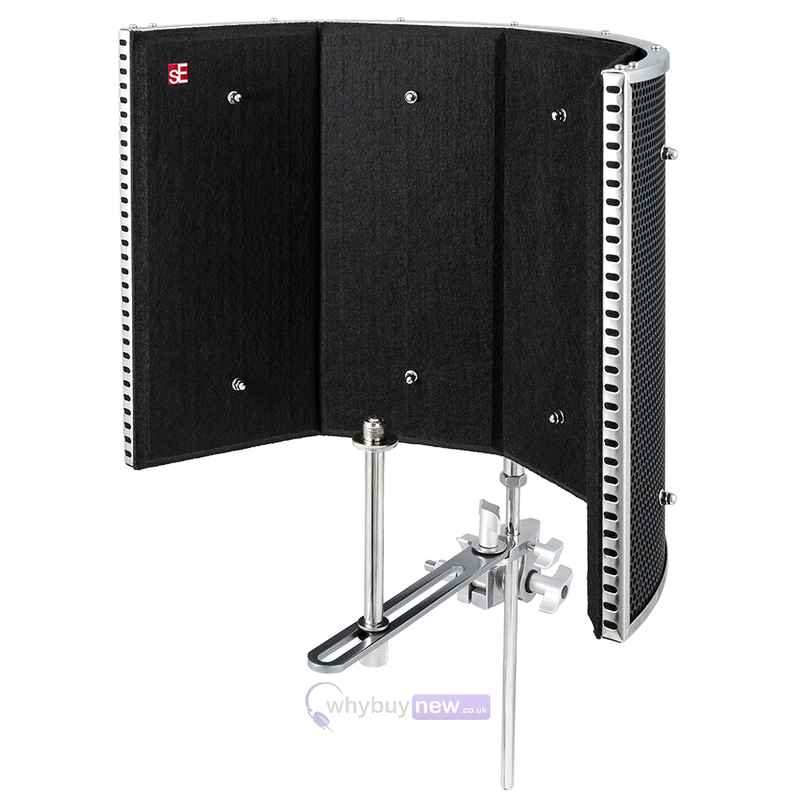 The RF PRO Black is a portable, vocal booth reflection filter that consists of nine layers which absorb the sounds you want to keep and reflects those you don't. 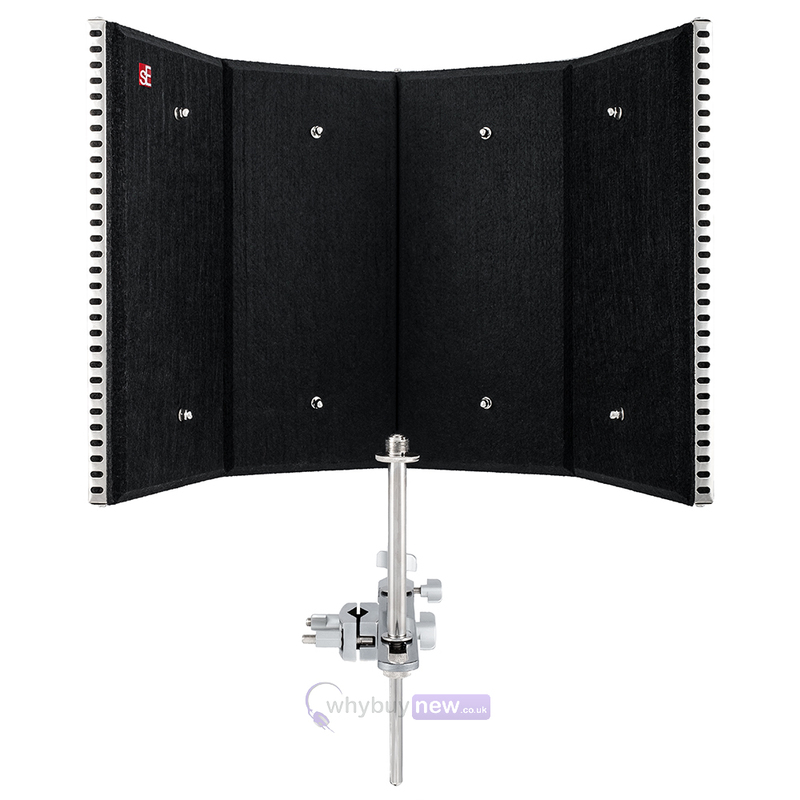 This fantastic quality sound reflector helps you achieve a perfectly dry studio sound, no matter where you're recording. 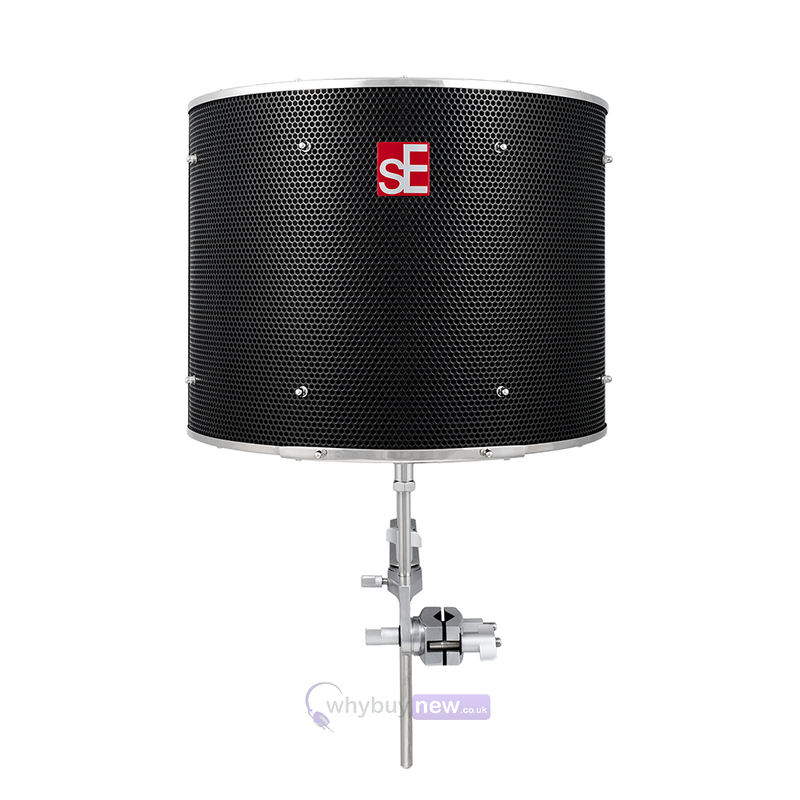 Dimensions: (L x W x H) 395 x 200 x 320mm / 15.55 x 7.87 x 12.59in.